A subliminal weight loss program is your best choice if you live a hectic life, suffer from ADD, chronic stress, memory, concentration or sleep problems. How many times have you started a weight loss program only to experience the frustrating reality of not being able to stay with it? For example, consciously, you may be determined to eat healthy foods and avoid fatty fast food and empty calories… But when you pass by the calorie-laden treats you just give in, time after time. Well, that’s because your subconscious, automatic behaviors are stronger than any will power you may muster. Stuff like, I’ll just have this piece of cake today, tomorrow I’ll eat healthy… or, I’ll start exercising next week… or, No matter what I do I’m not able to lose weight… and on and on. That’s where a subliminal program comes to help. Amazingly, the inaudible subliminal hypnosis instructions bypass the analytical filter of your conscious mind and reach directly your subconscious, where true change takes place. 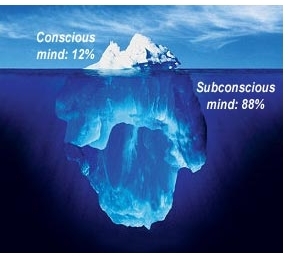 With regular use, subliminals help you to gently reprogram your subconscious mind. You want to know what are the benefits you get from the specific hypnosis instructions of a subliminal weight loss program, right? The inaudible messages in the Subliminal Weight Loss program change deep-seated habits; as a result, you stop being tormented by food cravings and emotional eating… Over time, using this kind of self hypnosis for weight loss, the extra pounds fall away allowing you to reach your ideal weight with ease – and keep it for good. What Exactly are Subliminal Weight Loss Messages? If you’ve ever wondered about it, hypnosis is all about dismantling limiting beliefs and reprogramming your mind for more empowering ones so that healthy behaviors become second nature to you. But if you tried conventional self hypnosis for weight loss, you know how sometimes your conscious mind tends to resist the audible messages, making them ineffective at best, frustrating at worst, right? That’s because your conscious mind (so set in its ways) rejects direct verbal messages filtering out the specific suggestions meant to rewrite your unhelpful patterns of behavior. As a result, they never reach your subconscious mind, where your automatic beliefs and behaviors reside. Believe it or not, this much larger part of your mind is responsible for your preferences, deep-seated beliefs, habits and automatic patterns of behavior when you are faced with various situations and challenges. While your subconscious is in charge to keep you alive at all costs, it does this job based on what has worked in the past for you, regardless of how well that works for you NOW. As incredible as it may seem, your subconscious can’t make sense of HOW something works – it just uses anything it comes across – that is, IF it is not filtered out by your conscious mind. It sounds almost insane, doesn’t it? To solve this, a subliminal program contains verbal suggestions recorded at a higher sound frequency, below your hearing level and normal conscious awareness, on a completely silent or relaxing music background. This way, the inaudible, subliminal script bypasses your conscious mind and easily reaches your subconscious. Here, at your subconscious level, the hypnosis instructions dissolve any outdated, conditioned beliefs about yourself and your body that are holding you back from your current goals. Over time, you release effortlessly any emotional patterns that have sabotaged your best intentions in the past. At the same time, the subliminal suggestions imprint a new set of self-empowering beliefs that bring about permanent change in your life. Specific trigger words and phrases anchor in your subconscious mind a “being healthy, trimmed and toned” mindset, which supports automatically any weight loss or fitness program. With regular listening, your attitude towards healthy eating and being active changes completely in a few short weeks. As this happens (in the back of your mind, so to speak), you become so driven that nothing can stop you. Then, once you achieve your goal, this empowered mindset keeps you at your ideal weight effortlessly. 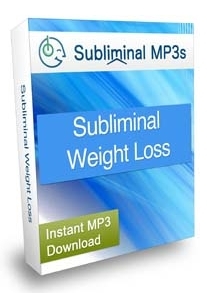 You’ll want to try this Subliminal Weight Loss audio to see for yourself how a subliminal program rewrites your deep-seated, self-sabotaging beliefs and automatic behaviors that made you fail to achieve your goal each time you’ve embarked on a weight loss plan before. The subliminal weight loss mp3s that I recommend here are the most effective that I have worked with. They also have a couple of important advantages over the others… here’s why. First, while most other subliminals have hundreds of embedded commands, which can be overwhelming and ineffective for your subconscious mind, these mp3s only contain 7-14 subliminal suggestions. Set a clear weight goal deciding what success would mean and how you want the subliminal weight loss program to change your subconscious default.